Bekker, if most remember, was touted as a “that son of a gun Pareja’s gonna make a monster outta him” signing. Obviously none of that came to fruition since Bekker was brought in from Toronto for some allocation money. It’s probably the best situation for both clubs. Both players saw rare, dwindling playing time in 2015. 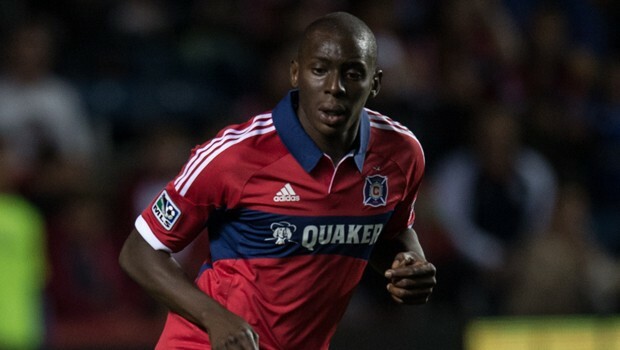 Soumare was actually picked up by Montreal in the 2015 Re-entry draft, reuniting the Malian international with former Fire coach Frank Klopas. His inconsistency drove his minutes down, prompting a trade request on the horizon that was fulfilled by the Impact yesterday. Bekker never quite fit. He looked unable to keep up with Pareja’s system at times and never quite saw eye to eye with the attack he was supposed to supply. Kellyn Acosta’s performances in the center of the pitch didn’t help Bekker’s case at all, as the Dallas homegrown took more minutes in place of the Canadian. Regardless, he will hopefully fit in at Montreal and gain minutes that will bolster his national team chances for Canada. Soumare’s signing brings up two issues. The first is his cost: he will set FCD back $225k in salary (Bekker cost a mere $88k). If he is just depth, that is quite a bit to stomach for someone who might see sporadic playing time. The second issue is Soumare’s performances of late. Back in 2009 his play for the Fire was top notch and earned him a transfer to US Boulogne of Ligue Un. He spent three seasons in France and returned promptly back to MLS in 2012, linking up with Peter Nowak’s Union. After rarely seeing the field in Philly, Chicago eventually made his return possible. His two seasons in Chicago were inconsistent at best, and a large reason why Frank Yallop saw it fit to decline his option at the end of the 2014 season. Holding mid Jeff Larentowicz had even begun filling in at center back in place of Soumare by the time his minutes were numbered in Chicago. It’s more than possible that Soumare sees more time in Dallas. The dreams of putting Zach Loyd out on the right again are tempting. But since the Hedges-Loyd partnership has proved an excellent one since last year, why break it now? Soumare certainly provides depth if either are out – it remains to be seen if he can make the case to start regularly. The upside is that he’s still got a good years in him at 29. If this turns out to be a long term stay and Soumare can pump out quality performances on a regular basis, this will certainly end up looking shrewd for Clavijo and Pareja.